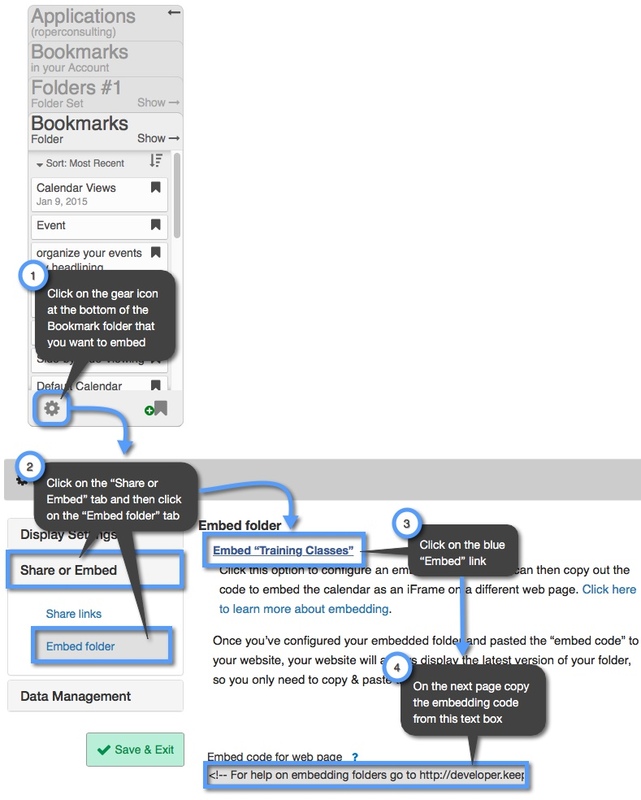 If you have a folder of bookmarks you need to embed on your website, you can use Keep&Share’s embed code for that too. When you embed a folder of bookmarks, it will look similar as to when visitors are viewing your bookmark folder on Keep&Share’s website. Show files in date order – The “&date=y” parameter will list your bookmarks in your embedded folder by date and not by alphabetical order, which is the default. Note: This URL parameter only works with folder sets, and not within individual embedded folders.